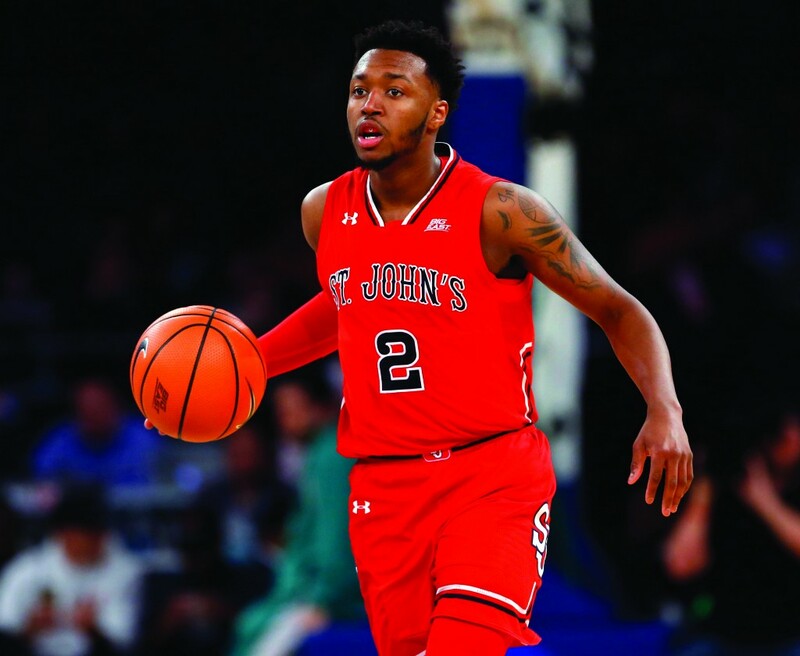 Through the first eight games of the St. John’s Men’s Basketball season, one thing is clear — Shamorie Ponds is worth the price of admission. The Junior guard has been nothing short of spectacular. With Knicks superstar Kristaps Porzingis injured, and the Nets lacking any projected All-Stars, it is safe to say Ponds is the best basketball show in town. Last Saturday, Ponds paced the Red Storm to their seventh straight win, scoring 37 of the team’s 76 points and dominating play against Georgia Tech in the final 10 minutes as the Johnnies stormed back from a 16-point deficit to remain undefeated on the season. So far this season, Ponds has scored more than 30 points three times against St. John’s’ toughest opponents — Cal, VCU and Georgia Tech, respectively. Each game played out in similar fashion, with Ponds asserting himself at key moments when needed, while trying to keep his teammates involved. The last five minutes were always owned by Ponds, who uses his exceptional ability to create shots and get to the basket with dribble penetration to clinch games. Ponds is the leading scorer for St. John’s, averaging 22.4 points per game. But the stat is incredibly deceptive: In the team’s blowout victories against Rutgers and Eastern Maryland, Ponds scored eight points and four points, respectively — focusing that time on creating shots for teammates and building up their confidence. Entering this season, much of the basketball world already viewed Ponds as a star, following his breakout performance against Duke last year at Madison Square Garden. There is little doubt that he will be an NBA first-round draft pick next year. But with his performances so far this year, Ponds has shown a maturity and potential for greatness that is rarely seen in the college game. If you can make it to Carnesecca Arena or MSG to see him play, go for it.